We’d like to share what’s been happening with our project since we launched at the end of September 2017. 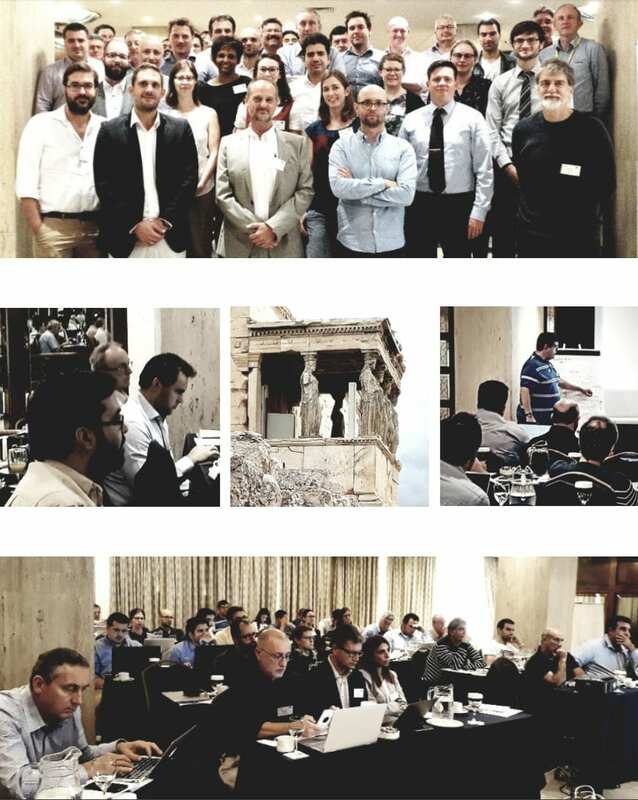 The project coordinator Dr Angelos Amditis, Research Director at ICCS, initiated the kick off meeting in Athens, Greece. 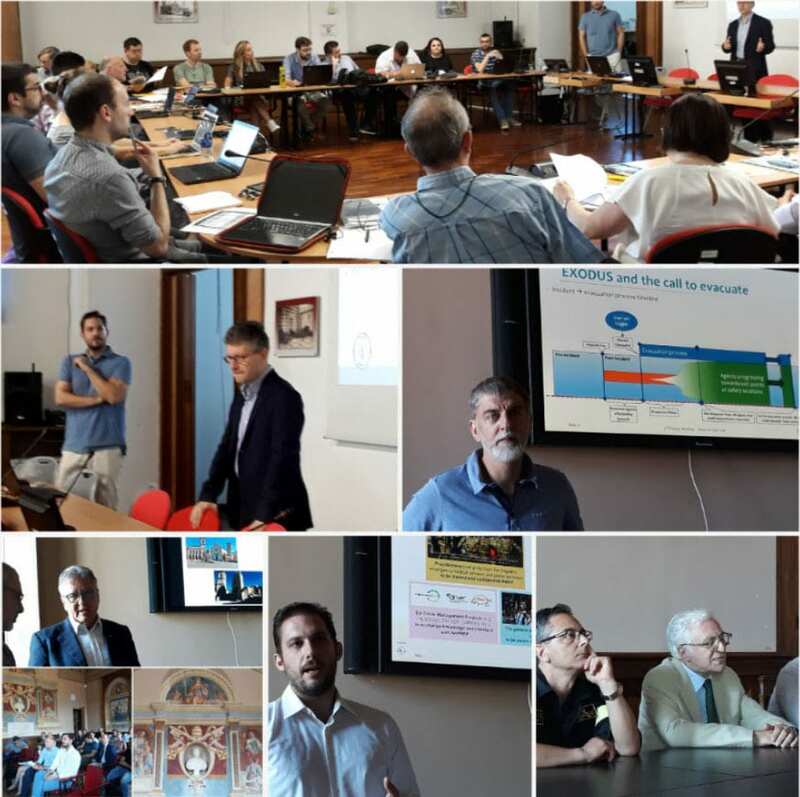 The meeting room was packed with partners from civil protection, system development, information technology, ethics & data protection, social sciences and communication as well as crisis management experts and AR & VR specialists. 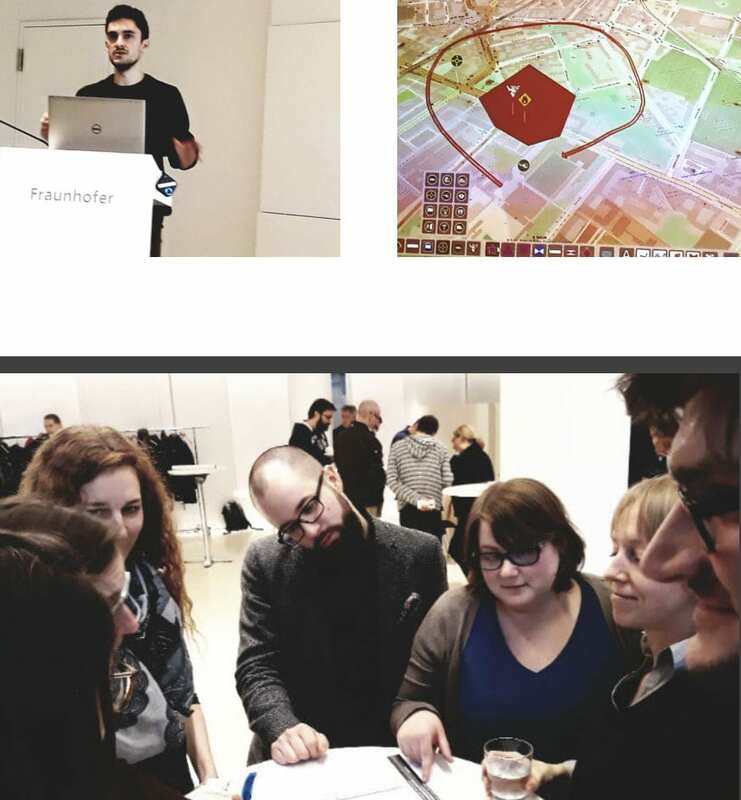 So far we’ve had two plenaries in Berlin and Rome and two end user workshops in Leiden and Berlin. Read on. 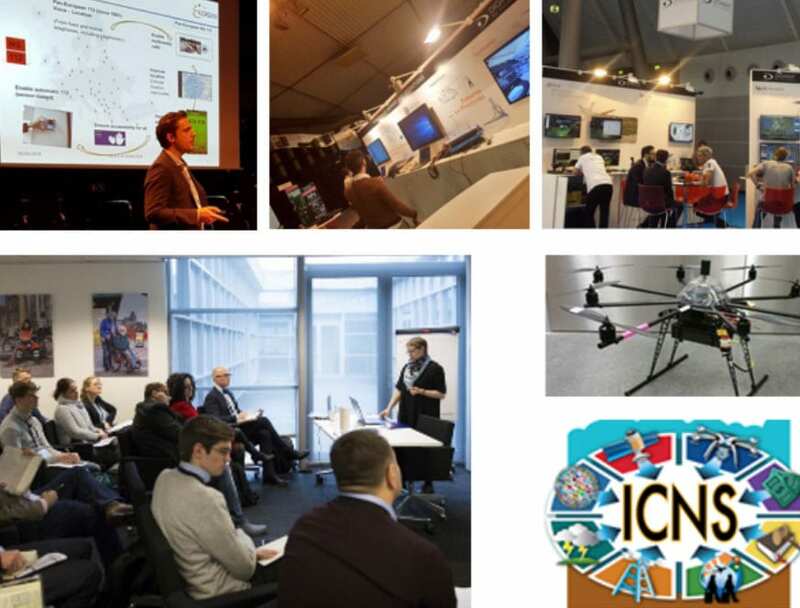 IN-PREP partners: ICCS (Coordinator), Crisisplan, Airbus, DLR, Diginext,Vigili del Fuoco, EXUS, Satways Ltd, Fraunhofer, SAMU Paris, University of Greenwich FSEG, Trilateral Research Ltd, CARR Communications, IES Consulting, Deutsche Hochschule der Polizei, Safety Region IJsselland, Dimos Rodou, AIR Worldwide Limited, Police Service of Northern Ireland, Health Service Executive Ireland. 20 partners from 7 countries and 7 partners from civil protection agencies. The EU Parliament recently approved proposals to upgrade the EU Civil Protection Mechanism. Funding and plans shall be put in place for rescEU to have a reserve of assets, over and above that offered by member states. The mechanism was actively used in responding to the forest and wild fire emergencies in SwedenLatvia and Greece this month. There has been an overwhelming response from many member states to volunteer their services, fire fighters, trucks and fire-fighting aircraft. It would provide additional relief rather than replace each state’s capacity or responsibilities. The purpose of the mechanism is to improve response capacity to avoid situations where the European Union is unable to respond to multiple requests for aid. On one occasion, the EU had 17 simultaneous requests but was only able to respond to 10 of these. Any country in the world can call the EU Civil protection Mechanism for help. 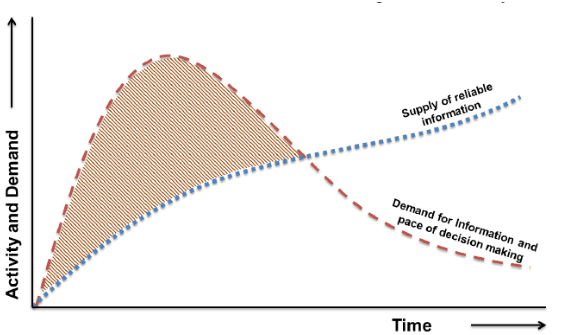 What are the key gaps in crisis management? 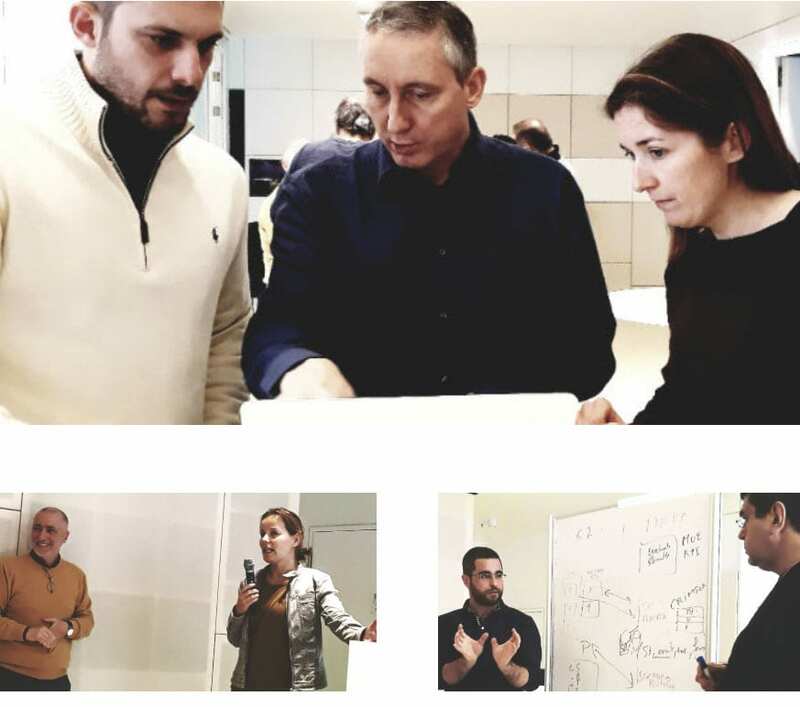 Two end-user workshops were organised to ensure the relevance of the IN-PREP system by understanding the needs of end users during training and response. 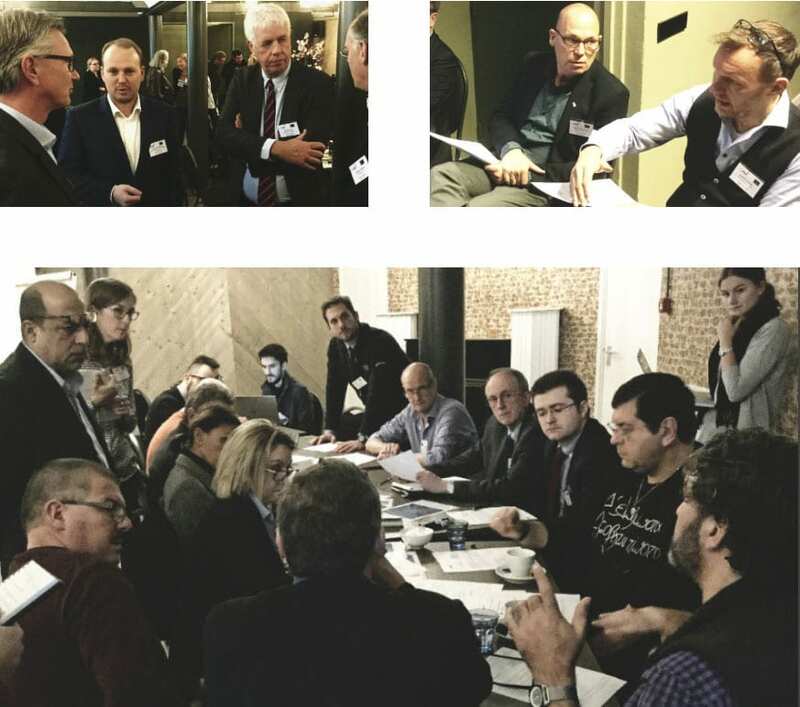 Leading practitioners from crisis management and first responder organisations attended the end user workshops. Interoperability, political context and “harnessing tools that exist already” were issues that came up. Participants mentioned the value of the workshops for networking and breaking down mental barriers to facilitate easier communication with different agencies prior to working with them. 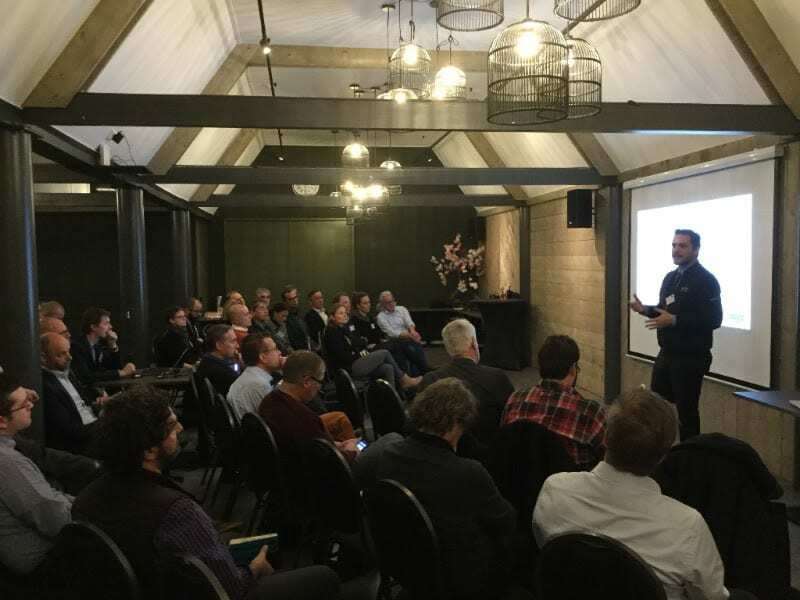 IN-PREP project manager Evangelos (ICCS) introducing the project at the 1st end-user workshop in Leiden 23rd November 2017. The workshop was attended by 32 people from 26 civil protection agencies. 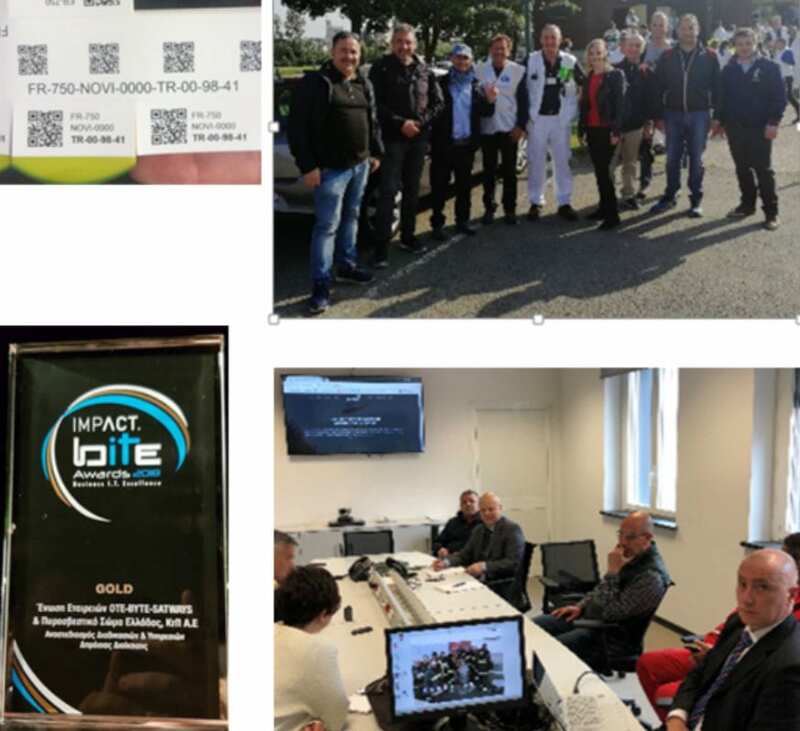 (clockwise from top left) Representatives from the International Association of Emergency Managers and Safe Cluster discuss with Antonis of SATWAYS regarding security, accessibility and interoperability. Ilias from the Municipality of Rhodes and Safe Greece presented their preparedness and disaster exercise that took place in Rhodes Island Greece. IN-PREP’s technical features to enhance interoperability. You can see the full poster by clicking on the image. 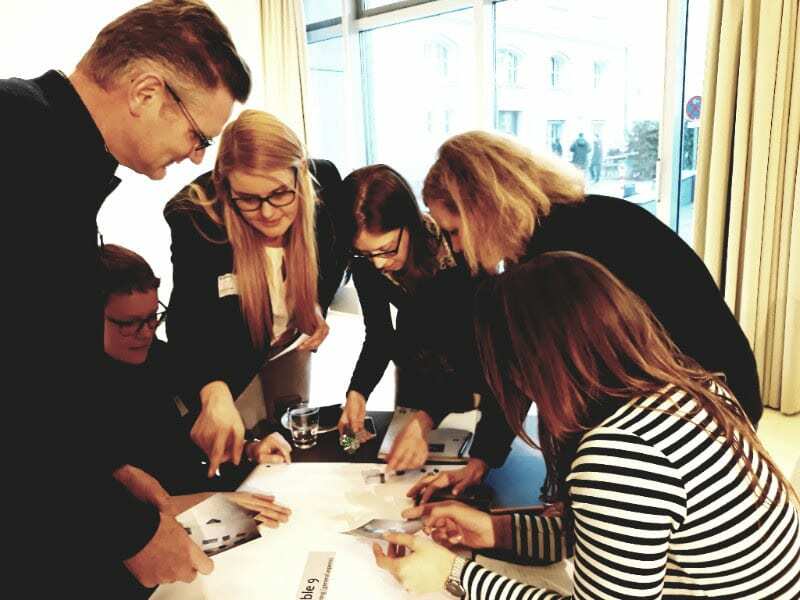 How can IN-PREP’s design support privacy and enable ethical actions? Whose privacy needs to be accounted for? Whose responsibility it is to keep the shared data secure? What are the implications of data inaccuracies? 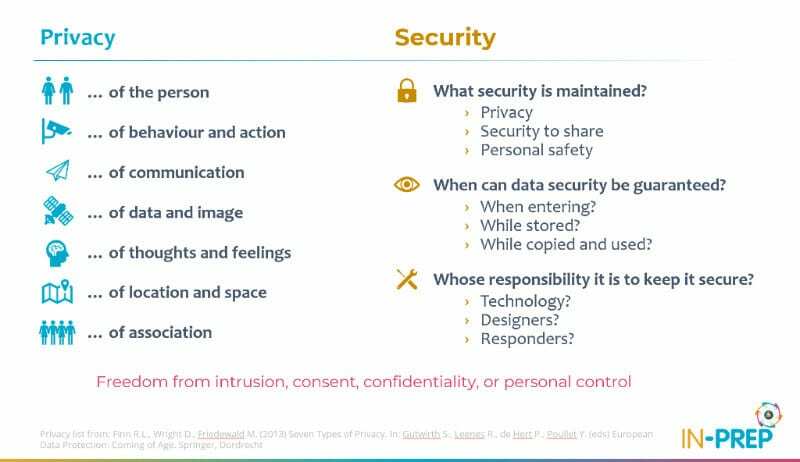 Could data from different sources be aggregated in a way that undermines protection of sensitive data? Can IN-PREP impact emergency responder autonomy? 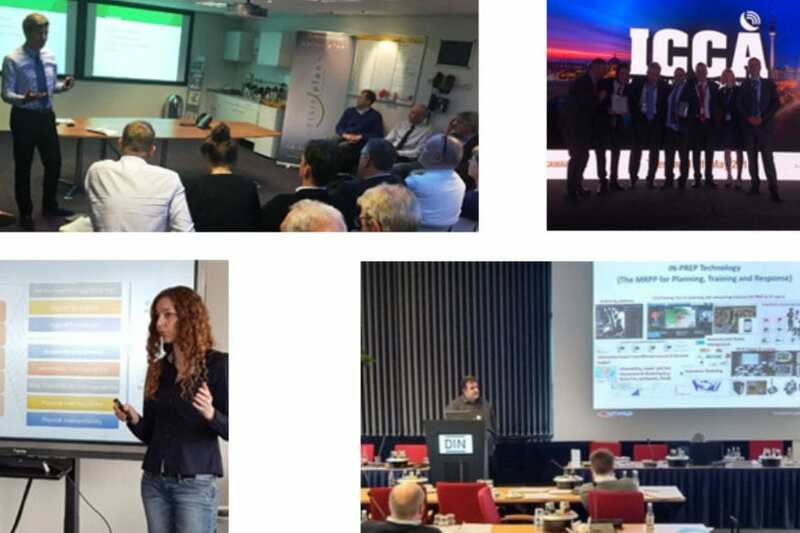 February 19th to 21st were the dates for the first IN-PREP plenary hosted by Fraunhofer INT in Berlin. Six months into the project and we are down to the nitty-gritty of how each system connects with each other. Our partners are adapting their systems such as Tarona™, Arizona™, Engage™, CIRP™,Crimson™, U-fly, Exodus™ and Touchstone™ for the platform. Questions and lively discussions ensued. How will the IN-PREP system fit into existing C2 systems? How to bring in all the exact technology to meet the needs of end users? What assessments of national emergency plans are already in place? Which Common Alerting Protocols need to be adopted? 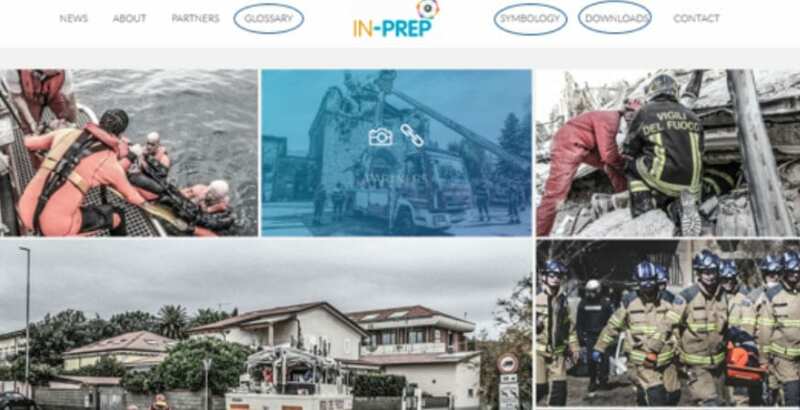 IN-PREP’s work to deliver a novel platform for response planning and scenario building in the form of a training tool falls within the first two strategic pillars. 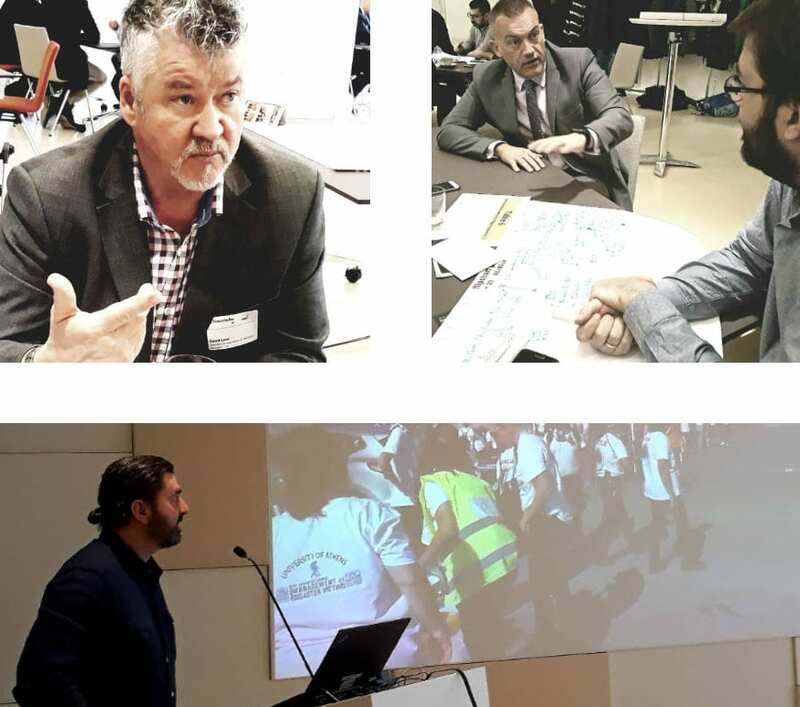 We had an opportunity to present the project’s vision and exchange knowledge with a variety of representatives of the European civil protection community. 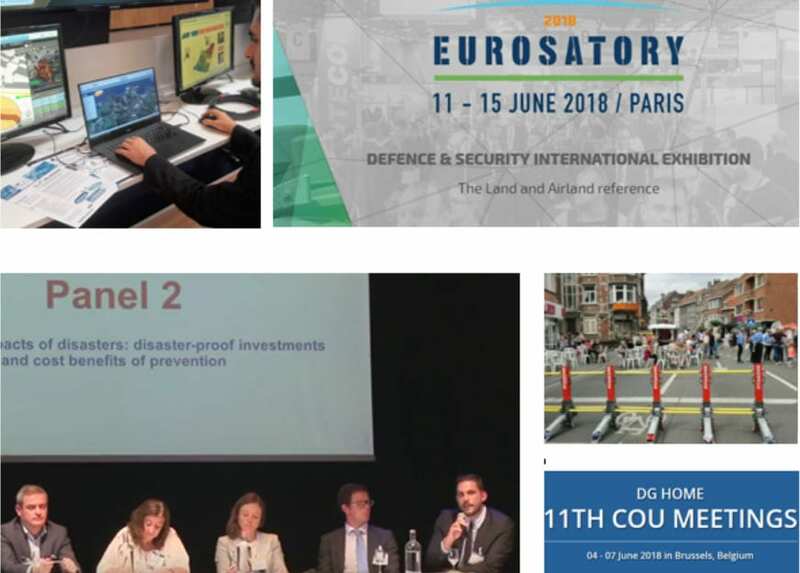 IN-PREP’s presence also targeted the expansion of the project’s User Advisory Board, recruiting external experts and civil protection organisations as followers and supporters within the project. Franceso Notaro, Head of the Perugia HQ National Fire Corps welcomed the IN-PREP consortium to Spoleto, stating that the mutual knowledge will lead to better collaboration when emergencies happen. He highlighted the 2017 earthquakes and avalanche in Abruzzo where there were 3 emergencies at the same time. Although the city has its own emergency plans it is not possible to predict every effect and therefore preparedness is vital. The mayor of Spoleto welcomed us and said he was proud to have IN-PREP base its first table top exercise in Spoleto. He wished us all the very best for our exercise in November. Dr Orlandi, Regional Health Coordinator for Emergencies Umbria told us that the region has one of the highest percentage of aging population in Europe.He stated that while they can respond efficiently to the immediate disaster, the phase that comes after that, when older people have to be transferred is challenging.Thank you to Max from the Tourist Board for translating our presentations. (clockwise from top left) Stefano Marsella welcomes us at the plenary at the Fire Prevention Institute in Rome; in Spoleto, Lazaros Fillippidis of Fire Safety Engineering Group, University of Greenwich talks us through the different phases of evacuation; the mayor of Spoleto and Franceso Notaro; Evangelos Sdongos of ICCS shares theIN-PREP aims and intentions; Dr.Orlandi explains the main challenges that the region faces during disaster and evacuation.